Weds 15th-Fri 17th May and Weds 22nd-Fri 24th May 2019 at Key House, 106, High Street, Yiewsley, Middlesex UB7 7BQ (within London Oyster zones in London Borough of Hillingdon). The course leads to the CAOS Mediation Practitioners Certificate and once trained you will have access to our post-course Support and Training sessions with our Learning Community of CAOS Mediators. Click this link for more information about our next Mediation Skills Training course. All days for this 5-day course are from 10.00am - 5.00pm. The course leads to the CAOS Conflict Coaching Practitioners Certificate and once trained you will have access to our post-course Support and Training sessions with our Learning Community of CAOS Conflict Coaches. 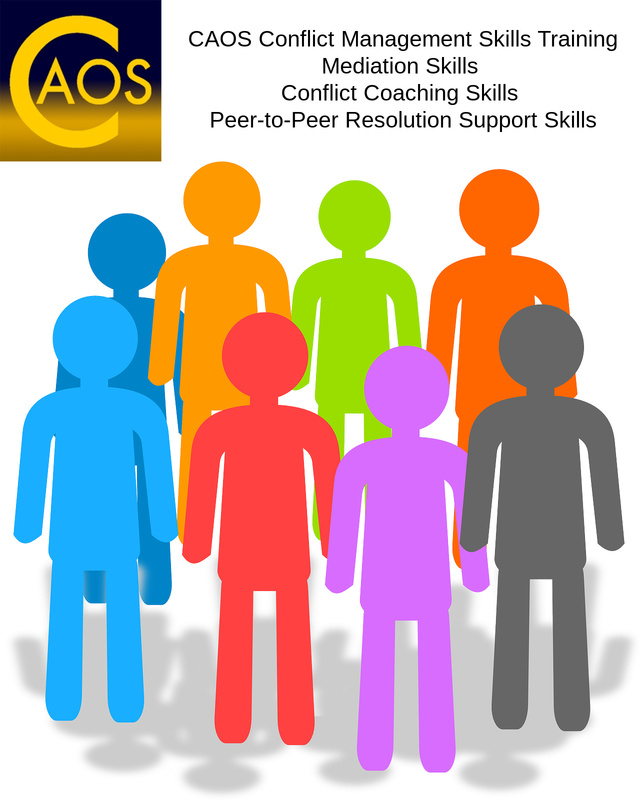 CAOS Conflict Management has developed a 2-day Peer-to-Peer Resolution Skills Training course for University staff who support student wellbeing, welfare and achievement and wish to provide assistance for resolution of conflict in student accommodation and student group work contexts. What is Peer-to-Peer (P2P) Resolution? P2P occurs when the ideas for how to resolve a dispute are created by those directly involved, and the actions required to move towards resolution are carried out by those directly involved. This training is provided on-site for universities that request it. 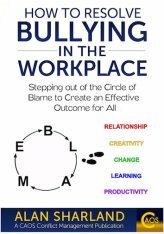 This training introduces the same thinking and skills that are used in student conflict situations to workplace relationship conflict. Our Workplace Conflict Peer-to-Peer Resolution Skills Training is for managers who wish to learn skills that support the resolution of conflict between those they manage. This training is provided on-site.